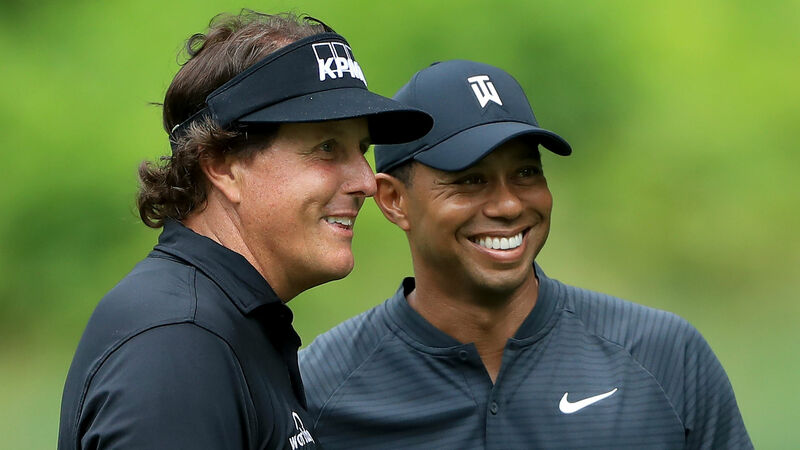 Tiger Woods said Phil Mickelson's success on the PGA Tour has motivated the 14-time major champion. American veteran Mickelson closed out his fifth AT&T Pebble Beach Pro-Am title on Monday – the 48-year-old's 44th Tour trophy and just his second since 2013. Mickelson's success has always had a lasting impact on former world number one Woods, who is preparing for Thursday's opening round at the Genesis Open. "What Phil has done has been extraordinary, to be that consistent for the length of time,'' Woods told reporters. "He's been out here since  and made every single team [Ryder Cup and Presidents Cup] since '94. He's won major championships; he's won events. Woods turned professional just four years after Mickelson did in 1992. The 43-year-old's 14 majors rank him second all time. Mickelson has claimed five major championships but not since 2013, and the two have been rivals for years. "My entire career, Phil will probably attest to this, we've always looked at the board to figure out where one another's at. So, we've always had that type of enjoyment of competing against one another. And to see what he's done or to see what he did last year in Mexico at 47 years old gave me confidence that I could somehow do it, maybe last year. And I was able to finally end my season just like he did with a win." ¡Bienvenido, @TigerWoods! The 18-time World Golf Championships winner is officially committed to the 2019 #WGCMexico! Meanwhile, Woods confirmed he will play at the WGC-Mexico Championship in Naucalpan, Mexico next week. Woods is qualified to take part in 2019 World Golf Championship events because he finished among the top 30 in last season's FedEx Cup standings. Woods has not featured in the tournament since 2014, when it was at Doral's Blue Monster, though he has won the year's first WGC event seven times.